Thank you for taking the time to check out my website. If you’ve ended up on this page, I’ve probably stopped you and handed you one of my exclusive ‘You’ve been spotted’ cards. As a professional teen & high school senior photographer, I am constantly working hard to build a portfolio that reflects my style. Often times, I will look for teens with a ‘certain’ look to be my model for themed sessions or to test out a new photographic idea. I am not looking for professional models so don’t worry if you’ve never modeled before or never even considered modeling. I am looking for real people with striking features and that ‘it’ factor. If your teen is usually shy, don’t worry about that either. My photo shoots are fun and I am usually able to bring even the most timid person out of his or her shell. As long as you’re willing to give your time and be in front of my camera, we can work together to create a collection of beautiful and timeless portrait photography. There is absolutely no charge to participate in the portrait session. The session will be complimentary and my session fee will be waived. You do not pay me to participate and I do not pay you. It’s an exchange of sorts – you give your time for the photo shoot and in return for your time, you will receive a free photo session, and 2-3 web friendly watermarked images. No purchase is required, but if you love your images (and we think you will), you will also receive 15% off of any order you place for this session, as well as having the opportunity to gain advance access to other programs we offer. You’re under no obligation to take me up on my offer but if you do, you will be expected to sign a portrait contract and a model release to take part. Images from the photo shoot will be used for my portfolio and general marketing. Please feel free to check out my portfolio to see my work and my photography style. And if you’re interested and want to go ahead and book your complimentary session or have some questions simply send me a message and we will have you come down to our fabulous studio. But hurry, this offer is time-limited and will not be available forever. I look forward to hearing from you. Didn’t receive a card but would like to be photographed? 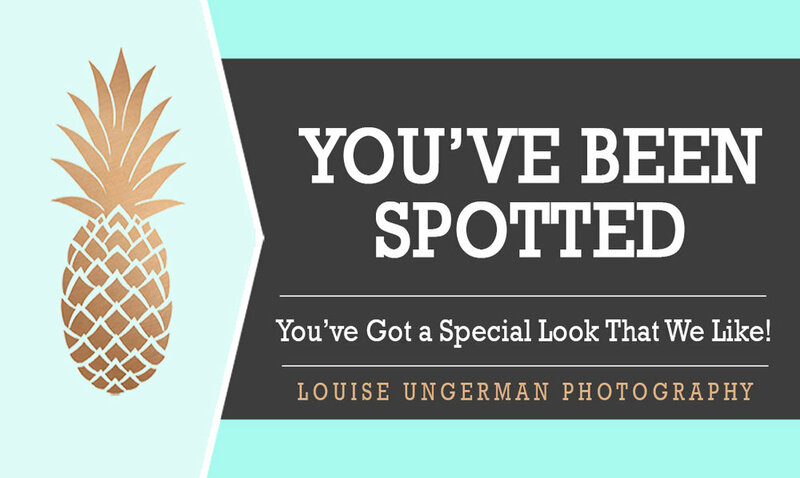 If you haven’t received a ‘You’ve been spotted’ card but would like me to photograph you, simply contact us and we can schedule a session for you. You handed me a card for my son and I was wondering if my daughter can be in the shoot too? Absolutely, We love photographing siblings together. Yes, of course you can. I would recommend no more than two people to accompany you to the photo shoot. Parents will need to accompany their teens under 18 to the shoot. Don’t be. I will work hard to make you or your teen feel comfortable and relaxed in front of a camera so that I can capture you at your best, naturally. I will tell jokes and get downright silly to bring out your personality and character. You get a free photo shoot that you have not paid for and 2-3 web friendly watermarked images. I get to develop and build my portfolio and test out new ideas by photographing lovely people who fit the criteria I am looking for. Photo sessions are usually 60-90 minutes long. Once you have filled in my portrait contract, you will receive a ‘What to wear’ guide from me to help you prepare for your shoot. You will be expected to sign a portrait contract and a model release to take part.